Who doesn't love a cozy sweatshirt? The Stella hoodie is a classic hoodie with feminine shaping. 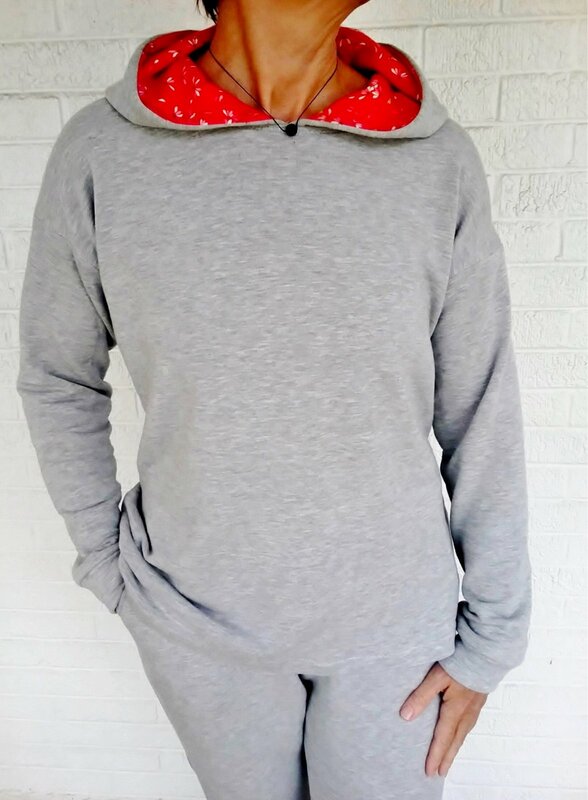 It also features an easy to sew three piece lined hood which allows for insertion of a colorful jersey lining that really kicks this hoodie up a notch. We'll talk about sewing with sweatshirt fleece, the best stitch settings and needle types for success with sweatshirt fleece but you can make your Stella hoodie out of a doubleknit, ponte or jersey if you choose. This pattern may be a good one to try with a sweater knit as well. We'll also learn tips for sewing button holes on sweatshirt fleece and other stable knits. If you need to use a shop sewing machine, please call the shop and reserve one in advance.